Azienda Giribaldi Mario is a very conscientious producer of high quality wines in the Langhe region of Piedmont in the north west of Italy. "Piedmont" translates as "foot of the mountain" and here it refers to the foot-hills of the Italian Alps. The Langhe, an area of gentle hills and valleys, is the plural of the Italian word "langa" meaning a long, low-lying hill. It lies to the south of the town of Alba and to the south and east of the River Tanaro in the province of Cuneo. This area is famous for its food, cheeses and white truffles foremost and also wine, it being the home of the DOCG wines of Barolo and Barbaresco among others including Langhe DOC wines that are made from non-traditional grape varieties and/or production methods. 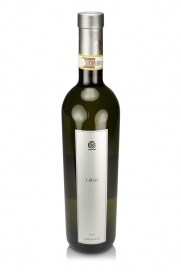 One such example is the DOC Langhe Chardonnay wines that are produced in quite large volumes these days. Azienda Giribaldi Mario is now led by the third generation of the family having been established at the beginning of the twentieth century and it now exports 70% of its production worldwide. Its young leader and wine-maker Matteo is continuing the traditions of respecting the vineyards and the great wine-making heritage of the area while simultaneously employing new techniques including rigorous clonal selection of the vines and also producing a range of organic wines from the Azienda's own vineyards. The vineyard holdings of Giribaldi Mario produce a diverse range of classic DOCG (Denominazione di Origine Controllata e Garantita) and also DOC (Denominazione di Origine Controllata) wines. The Azienda considers that the clonal selection mentioned above results in tighter control of the quality of grapes produced by virtue of a rigorous analysis of the different phenotypical characteristics inherent in each sub-variety of grape. By the successful selection of vines, each having their own nuanced qualities, it is possible to blend a finished wine that results in a harmonious result that might otherwise be lacking in certain qualities. For example one clone may provide grapes with a good alcohol to acid balance whereas another produces more sugars to boost the alcohol content during fermentation. A third may contribute greater florality to the bouquet thus the blended whole is greater than the sum of its constituent parts. Vinicultural synergy in action as it were. The geology of the area is quite complex and this, in part, is responsible for the many different wines of the Langhe. In brief, about ten million years ago the Langhe formed part of the Gulf of the Po Valley. Consequently sea sediments of marl and sandstone rich in calcareous and other mineral elements provide a good potential mineral basis for the successful production of wine grapes. 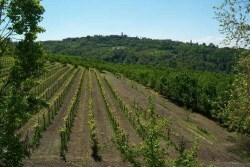 The majority of the Giribaldi vineyards are situated on Diano sandstone, alternating layers of red and brown sand, which are perfect for the cultivation of Dolcetto, Arneis, Barbera, Nebbiolo and Favorita grapes, the latter a white grape which the Italian authorities consider a distinct variety but one which plant scientists say is genetically identical to Vermentino, a variety which is also known as Rolle in France. The Azienda Giribaldi Mario produces a large range of wines and comprehensive details are given below for the most important wines of the region. The regulations governing the production of DOCG wines are very strict and while those relating to DOC wines are less so the requirements laid down in law are still nonetheless quite stringent. Barolo D.O.C.G - The biggest and probably most well known red wine that Italy produces. It is high in alcohol, tannin and acidity and is aged for three years before release and continues to age in bottle very well. The Azienda uses all three main Nebbiolo clones in the ratio 80% Lampia, 10% Michet and 10% Rosè planted at a density of 5,000 vines per hectare all of which are trained using the Guyot method. The vines grow on a perfect southerly exposure at 400 meters above sea level in the Ravera district near the village of Novello. The soil is permeable calcareous marl with some clay; drainage is therefore very good. 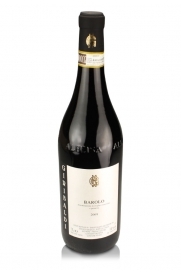 This Barolo is typically a deep ruby colour with a nose of dried berries, candied fruit, chocolate, spice, herbs and floral notes. 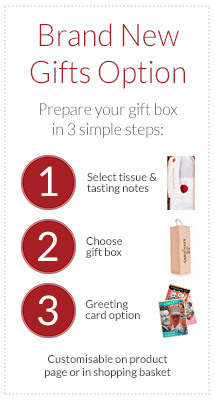 The palate displays a range of fruits, clean acidity and fine, well-integrated tannins. Barbaresco D.O.C.G. - From vineyards in Neive with a south-west exposure growing at a height of 350 meters above sea level predominantly on calcareous marl but with some parcels on limestone and others having a bit more clay. The Nebbiolo is again planted 5,000 vines to the hectare with the same clonal proportion as the Barolo and supported by the same Guyot training system. Harvesting starts at least a week earlier than for Barolo due to the warmer climate conditions and the wine is aged for a minimum of two years before it is released for sale. Typically a wine with cherry and plum fruit with notes of tobacco on the nose and a spicy, mineral finish. Dolcetto d'Alba D.O.C. "Crottino" - Made from a small, native, black grape variety this wine is made from vines grown in the 1.85 hectare vineyard “Schiena del Crottino” in Rodello which is situated 490 meters above sea level with a southerly and south-western exposure. "Crottino" refers to a small cave up on the hill. The soil consists of a very thin layer of calcareous marl on bedrock which encourages a very good grape ripening. Vines are planted 5,000 to the hectare and again the Guyot system is used for training the vines whose average age exceeds 35 years. Typically a ruby red wine with ripe blackberry and cherry fruit on the nose with a palate of ripe soft fruit such as blueberry and raspberry. Low yielding vines lead to great concentration and give a wine for earlier drinking during a two to three year window. Dolcetto d'Alba D.O.C. "Adess" - From the south-facing 2.03 hectare San Lorenzo vineyard in Rodello, 430 meters above sea level which was wholly replanted in 1995 on calcareous marl soil with argillaceous components, i.e. silver reflective mineral-rich clays, at a density of 4,000 vines per hectare employing the same Guyot training technique. Low yields produce a soft wine with ripe fruit aromas and palate of raspberry and blueberry. Good to drink on release or for the next few years. Barbera d'Alba D.O.C. "Caj" - From a 2.6 hectare vineyard in Alba at an altitude of 360 meters with a southerly and south-westerly exposure. The low-yielding vines are 14 years old and make a 100% Barbera wine. A vinous nose with cherry and violet the palate is dry with spice, tobacco and vanilla. A wine that ages well. Barbera d'Alba D.O.C. "Rie" - From a 1.6 hectare vineyard in the commune of Rodello and grown at a height of 410 meters on mixed soils with a southerly exposure. 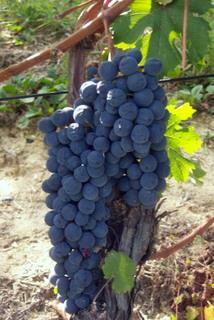 100% Barbera grapes from Guyot trained vines at a density of 5,000 per hectare. 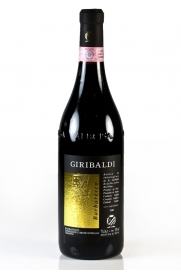 A hint licorice is discernible in the flavour of this Barbera along with red fruits, tobacco and vanilla. Another wine with the structure and tannins to age well. Barbera d'Alba D.O.C. "Gerbole" - A planting of 25 year old vines in the commune of Guarene the altitude of which is 310 meters. This site has a similar soil and the same aspect, planting density and Guyot training method as that of "Rie" above. The wines share many characteristics as well. All of the above wines make very good drinking with the local produce, notably meat, game and matured hard cheeses. This producer also makes Nebbiolo d'Alba DOC wines, Gavi DOCG wines as well as DOC wines with the Langhe appellation from Favorita grapes and even a sparkling Spumante Metodo Classico D.O.C. Azienda Giribaldi is producing an expanding range of organic wines certified by Eccogruppo in Italy. To date this selection includes two white Langhe DOC wines, one made from Chardonnay and the other from Arneis grapes. Two red wines, a Dolcetto d'Alba D.O.C and a Dolcetto Diano D.O.C. are also produced to comply with organic wine regulations. This is a direction that the company sees expanding in line with consumer demand.